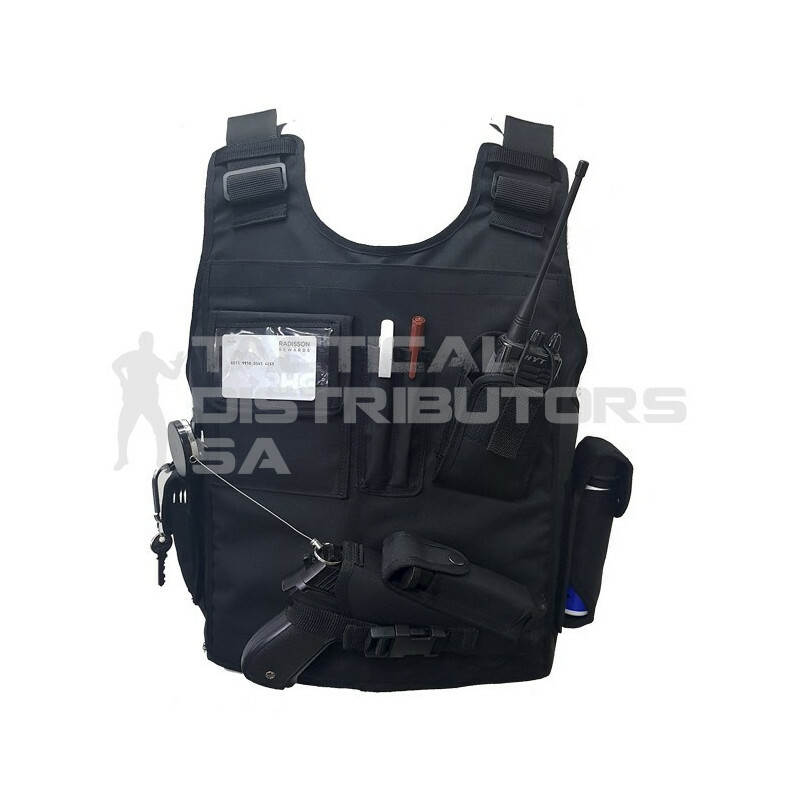 Description These bullet proof vests are manufactured with the latest laminated technology aramid. Offering you more movability. Features Full Front and Back Protection is available in store to be purchased. Integrated Pouches. Size Adjustable. Addtional Information Vest includes a ID Card Holder, Cell Phone/Utility Pouch, Pocket Book pouch, 2 x D-Links for Retention Lanyard, Keys etc., Handcuff Pouch, Knife Pouch, 2 x Pen Pouches, Radio Pouch, Pepper Spray Pouch, Holster and Magazine Pouch. Please Note Bullet proof vest are one size that can adjust from a Small to 3XL.